The BARC North West season opener at Oulton Park provided the opportunity for BMMC Chair Nadine Lewis to present two more Brand Ambassadors with their official insignia. 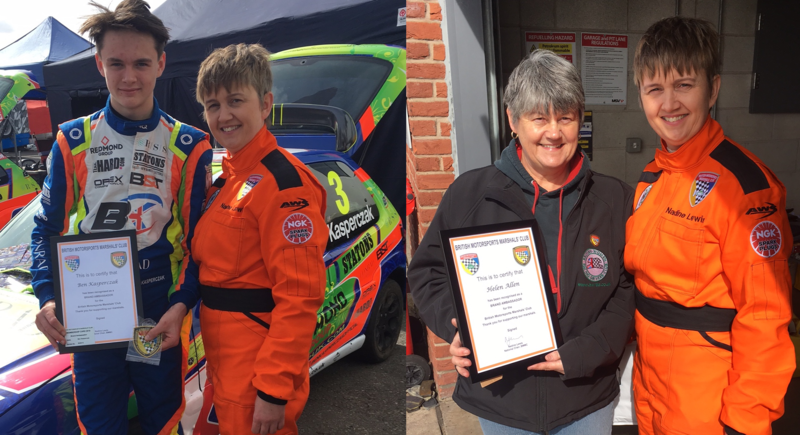 Helen Allen has over 20 years’ experience as a racing driver and is currently the Vice Chair and Secretary of the British Women Racing Drivers’ Club, while Ben Kasperczak is competing in his second year in the Junior Saloon Car Championship. Speaking after receiving her insignia Helen Allen said: “The BMMC means a lot to me because without them I wouldn’t be able to have so much fun and be so well looked after when things don’t go quite the way they should.